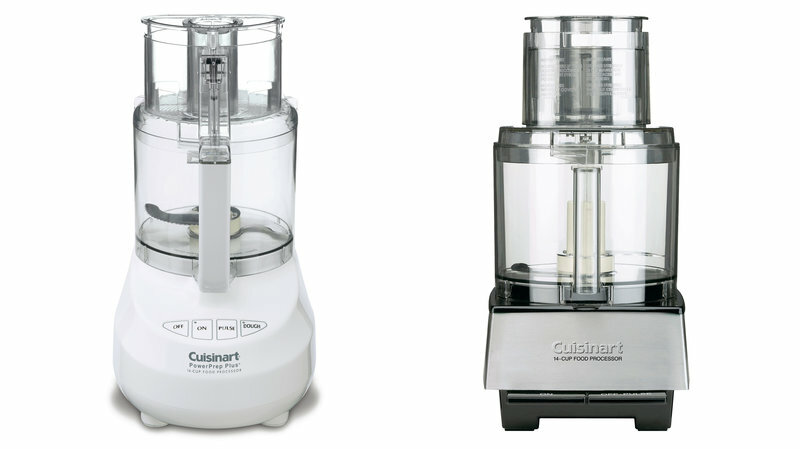 Cuisinart’s parent company, Conair, has been forced to issue a huge recall of about 8 million units of food processor blades, after 69 different consumers reported finding broken pieces of blade in their food. Out of these, 30 cases caused mouth lacerations or tooth injuries, according to the Consumer Product Safety Commission. Makes you cringe just thinking about it. The main problem is with the riveted metal blades, which can crack over time, releasing small metal pieces of the blade into whatever food is being processed. The blade has four rivets centred around a beige cap, and this is apparently the reason behind potential breakage. CFP-9, CFP-11, DFP-7, DFP-11, DFP-14, DLC-5, DLC-7, DLC-8, DLC-10, DLC-XP, DLC-2007, DLC-2009, DLC-2011, DLC-2014, DLC-3011, DLC-3014, EV-7, EV-10, EV-11, EV-14, KFP-7 and MP-14. The unit number of your food processor can usually be found on its base. You can also check the blades themselves. The ones that can cause cheek tissue problems are those with the rivets around the central base. The units were sold from July 1996 through December 2015, according to the company. If yours is one of the affected models, there’s no need to dispose of it. Instead, stop using it and either call Cuisinart on 877-339-2534, or fill out the blade replacement form on their website.